 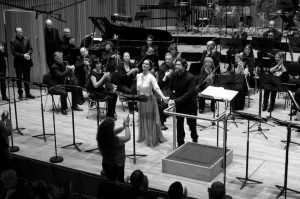 For the second year in a row, the English Symphony Orchestra and Artistic Director Kenneth Woods have received the Classical Music Magazine Premiere of the Year nod for the Midlands. 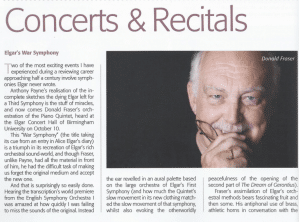 Following on the 2015 selection of the premiere of Donald Fraser’s orchestration of the Elgar Piano Quintet at the Elgar Hall in the final concert of the ESO’s 2015 Elgar Pilgrimage, Christopher Morley, longtime senior music critic of the Birmingham Post, has made the ESO’s performance of John Joubert’s opera Jane eyre his 2016 Premiere of the Year. 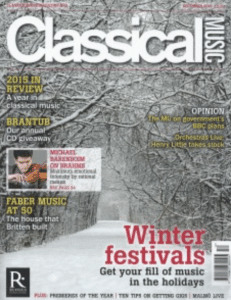 The ESO’s Avie Records recording of last year’s Premiere of the Year went on to be a Classic FM CD of the Week and spent 8 weeks in the classical Top 20, all the more reason to look forward to the release of Jane Eyre on Somm Recordings in March 2017.